I think that many of the people out there providing social media advice are providing the wrong advice. It is not necessarily their fault – because in essence they are simply providing the answers to the wrong questions. These questions tend to be a version of “how can we use social media to reach our consumers?” to which the right answer is “you can’t, you have to understand social media as something your consumers can use to reach you, if and when they want to”. The problem is, the organisations asking these questions don’t necessarily want to pay money to receive this answer, hence the lack of people giving it. It is therefore great to find other people out there who are providing the right answers and also trying to get organisations to re-frame the question. One such person is Jay Baer. I had been vaguely aware of Jay as being “a name” on the social media scene in the US, but had never really checked-out his stuff. But then, last week, I came across a piece he wrote that was published in Social Media Today. It was about a brand ‘blowing it’ on Twitter and I hoped I could scoop it up as a case study to put into my training courses – but as I was scanning it, one idea seized my attention. This was the idea of “listening at the point of need”. I felt this idea perfectly captures what I try and teach organisations about social media being understood as a behaviour identification and response challenge, rather than a channel and message challenge. 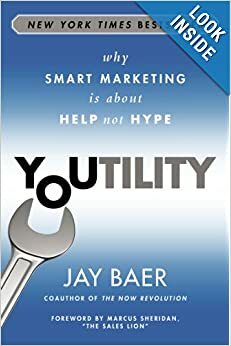 This in turn lead me to check out his latest book: Youtility – why smart marketing is about help not hype. I am not overly keen on the name Youtility. I can see why this seemed like a smart twist on utility, but I am not sure who the You actually is, or if even if utility as a concept is the right concept to be riffing with. Themtility might have been more accurate, but clearly less snappy. However, I think the ideas he puts forward are spot on and give another perspective on all the key themes I bang-on about (behaviours and response, listening, information rather than content etc). Here are a few soundbites drawn from his summary of the book on Slideshare. If you are asking about how to get more attention and how to make your products seem more exciting online, you are asking the wrong question. See my point at the start of this post. Being found doesn’t create demand, it can only fulfill it. Today, companies must compete for attention against consumers’ friends and family members. Spot on. This plays to the point I am always making about engagement, in that social engagement is measured against a totally different scale, and conventional content and audience-based marketing is never going to push the needle against that scale. 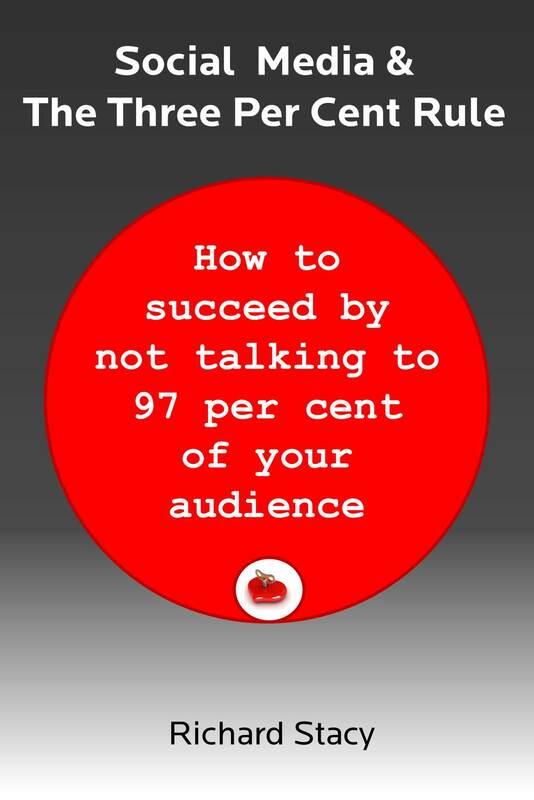 It is almost impossible for brands to compete at this level of engagement scale – except by shutting up, listening and answering the xxxxx question. We have always tried to build loyalty with people, now we must do it with information. This is why information, rather than content, is king in social media. Creating customers by answering their questions is imminently viable and carries remarkable persuasive power. To which I always add the point that an ad (or any other form of audience-based content) is an answer to a question that no-one ever asked. Youtility is real-time relationship building. You are either sufficiently useful at any given moment, and thus can connect with the customer, or you are not. Now that is a really interesting thought. It reminds me off something I wrote a couple of years ago about the shift from the portal to the app but actually takes it forward quite a bit. You need to understand what your prospective customers need to make better decisions and how you can improve their life by providing it. It is about identifying those questions for which your business provides an answer – which is what I see as one of the four types of behaviour a brand needs to identify and respond to. Everything important in business starts as a job and eventually becomes a skill. Involving a wide variety of employees not only makes it easier to create and maintain helpful information, it also increases effectiveness because they bring credibility that centralized, official communication doesn’t have. Absolutely. Social media is a business process that needs to be embedded across a business, it is not a silo function. Managing decentralistion is, in reality, the only centralised function. Youtility involves a a never ending, constantly reinvented and refined process. Process again – such an important concept in social media. All this gives me hope that we can say that the next big thing is social media is not some new tool or platform (which everyone assumes to be the case) but actually getting organisations to use the tools we already have, more effectively. It also gives me hope that I am not the only one banging on about this (which can sometimes seem the case).